Tailored leadership training that develops people, generates innovation and revolutionizes workplaces. A True Partner. Customized Solutions. Lasting Results. Henley Leadership Group develops skills needed to build workplaces that energize people to produce extraordinary results. When leaders are engaged and developed, you will see more collaboration, increased productivity and a happier work environment. "Thank you for providing one of the best team and leadership development courses our organization has ever seen." Forbes Contributor. Ranked in the top 100 thought leaders. We have served thousands of corporate leaders in a variety of industries that include healthcare, technology, utilities, and finance. 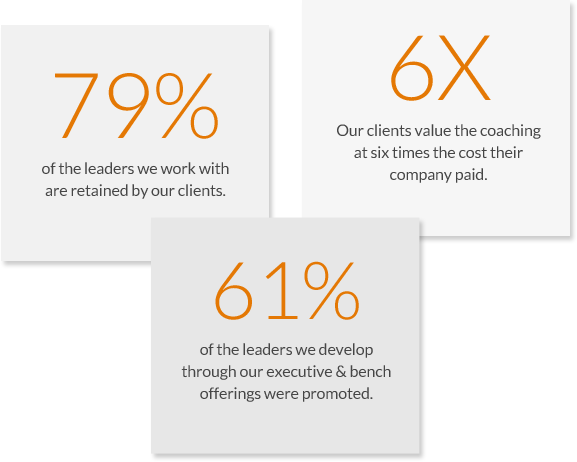 Team and leadership effectiveness makes a difference to your business success. Henley Leadership Group provides coaching and training that develops people, generates innovation and creates happy workplaces. A development experience that allows emerging leaders to step forward faster, creating a solid bench of ready leaders. Our assessments reveal core strengths and unconscious, limiting behaviors, allowing for the quickest path to improvement for teams and leaders. Providing people with the tools needed to think differently, see new opportunities, and create innovative solutions with impact. The soft stuff is the hard stuff. Teams quickly increase trust, find alignment, and produce synergistic results. We engage executives in challenging conversations that allow them to open their minds, their hearts, and access their deepest sensibilities. As a professional, you understand the importance of strong leadership and you are committed to bringing that knowledge and those skills to your company. Our team of coaches knows how to work with you to create the change you need. Our leadership development solutions give you a path to empower your leaders and propel growth. We have a proven track record for delivering results. HLG has successfully served thousands of leaders in a variety of industries that include healthcare, technology, utilities, and finance. Creation of an internal university for large healthcare system. High potential leader development focusing on collaboration and partnership. Implementation of a customer loyalty program for unionized employees. Organization-wide leader development for a large utility. "The results are a culture change across the organization"
HLG transforms leaders at all levels– the results are a culture change across the organization and raised collective Emotional Quotient. Would you like more information about our leadership coaching & assessment solutions? High performers are often like stars - they shine bright, but they can also burn out. Wisdom is defined as the quality of having experience, knowledge and good judgment. Join our newsletter list to receive monthly leadership resources & insights. Ready to talk about your leadership development needs?